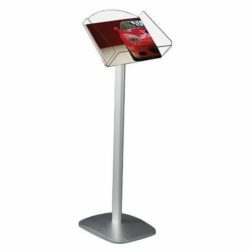 Literature Stands / Racks – Some businesses find that brochures, info graphics and other information prints are an important and great way to give customers more information about your brand, products, or services. One of the most effective ways to distribute these prints is to place them in literature racks. 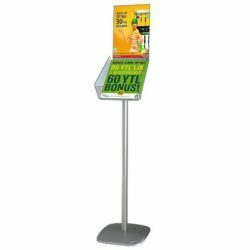 Once placed in strategic points, waiting areas or well-trafficked halls, literature racks instantly display your brand’s message to consumers who need your products or services. 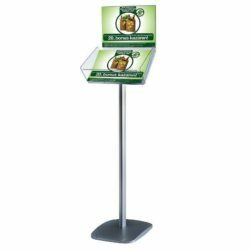 Brochure holders come in standard sizes. They look practical on many types of businesses including restaurants, spas, hotels, cafes, kiosks or any establishment where ad displays are practical. These leaflet displays are one inexpensive way of marketing your brand to incoming traffic. 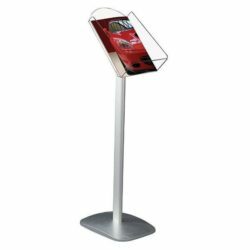 As another way to generate interest, leaflet displays can be placed in other establishments you are affiliated with, without creating distraction from their own brand.